Tony Award nominee Gavin Creel will play the Jesus role in the new Broadway production of the New Testament-inspired Godspell, Playbill.com has learned. As previously reported, the smash Stephen Schwartz/John-Michael Tebelak musical will have a July launch toward an August opening at a Shubert theatre to be named. Daniel Goldstein will direct the production, with choreography by Christopher Gattelli ( Altar Boyz ). Adam Epstein will produce the first Broadway revival of the "Gospel of St. Matthew"-drawn musical tale of a tribe of hopeful friends. The production will reunite the creative team of the 2006 production of Godspell that played New Jersey's Paper Mill Playhouse. Goldstein's colleagues there included scenic designer David Korins, costume designer Miranda Hoffman, lighting designer Ben Stanton and sound designer Randy Hanson. Creel was Tony-nominated at age 26 as Best Actor in a Musical for playing Jimmy in Thoroughly Modern Millie . He recently sang the songs of Leonard Bernstein at the Allen Room (with Rob Fisher at piano), appeared as Bert in the London production of Mary Poppins , was the selfish son Jean-Michel in the Broadway revival of La Cage aux Folles , and has a cult following for his career as a pop singer-songwriter (his debut album is called "Goodtimenation"). 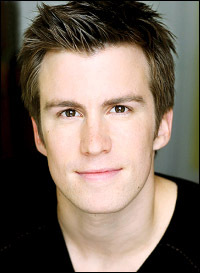 For more information about Creel's career, visit gavincreel.com. In an earlier statement producer Epstein said, "When I saw Daniel Goldstein's production of Godspell , I was overpowered by its vibrancy and relevance. This Broadway production will take that experience to an even more glorious level. It is essential that the power of this production and how it moves people lives on at its highest potential." Godspell features a score by Schwartz and a book by Tebelak. Based on "The Gospel According to St. Matthew," the musical, press notes state, uses "improvisation and contemporary themes to illustrate the parables, [bringing] these lessons to life through the grand tradition of musical theatre." Song titles include "Day By Day," "Save The People," "Learn Your Lessons Well," "All Good Gifts," "Turn Back, O Man" and "By My Side." After a five-year run Off-Broadway (the musical opened at the Cherry Lane Theatre May 13, 1971, and transferred to the Promenade in August of that year), Godspell opened at Broadway's Broadhurst Theatre in June 1976. It eventually played both the Plymouth and Ambassador theatres before closing Sept. 4, 1977, after 527 regular performances. Godspell was conceived and originally directed by John-Michael Tebelak. The 2006 Paper Mill cast of Godspell featured Dan Kohler as Jesus with Joshua Henry as Judas/John and Uzo Aduba, Sarah Bolt, Sara Chase, Holly Davis, Patrick Heusinger, Anika Larsen, Telly Leung, Kasey Marino, Julie Reiber and Robin De Jesus.